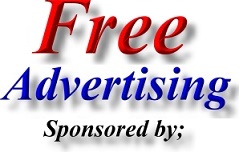 The Telford Gymnastics web page is provided as a free service for the people of Telford, Shropshire. 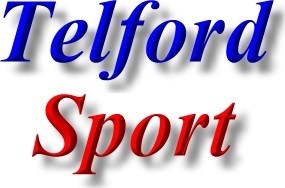 All that we ask in return, is that listed Telford Gymnastics Teams, Telford Gymnastics Clubs & Telford Gymnastics Leagues place a link on their website back to us and hopefully mention us on their league fixtures & other paperwork. Address; Oakengates Sports Centre - Gymnastics, New Road, Wrockwardine Wood, Telford, TF2 7AB. Facilities include; 25 metre, 4-lane Swimming Pool, 'aspirations' fitness suite - 32 station fitness suite incorporating Technogym resistance and cardio-vascular equipment and a number of free weights, Indoor sports hall - 4 badminton courts or one 5 a side football court, Dance Studio - Aerobics studio, Synthetic turf pitch, 4 full-size and 1 small-size football pitches, 1 rugby pitch, Baseball pitch, Telford Athletics Stadium (400 metre synthetic running track and field event facilities), Sauna, Solarium. Address; Telford Phoenix Trampoline Club, Phoenix Sports Centre, Manor Rd, Dawley, Telford, Shropshire. TF4 3DZ. Training Information; Wednesday 16:45 - 18:15 at Phoenix Leisure Centre, Dawley, Telford. Training Information; Saturday 12:30 - 14:00 and 14:00 - 15:30 at Oakengates Leisure Centre, Oakengates, Telford. Training Information; Sunday 10:00 - 11:30 and 11:30 - 13:00 at Phoenix Leisure Centre, Dawley, Telford. Address; Gymnastics England, Ford Hall, Lilleshall National Sports Centre, Newport, Shropshire, TF10 9NB. Address; WM Amateur Gymnastics Association, Ford Hall, Lilleshall National Sports Centre, Newport, Shropshire, TF10 9NB.